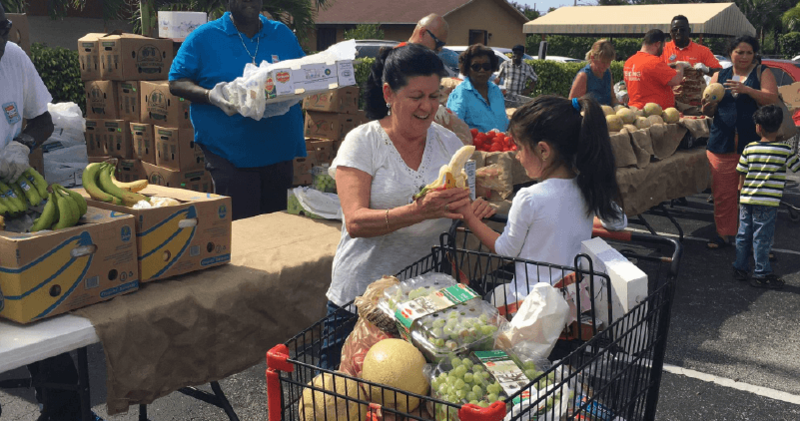 Despite the federal government shutdown, the 2.9 million Floridians who receive federal food assistance will get through February with an early allotment to stock up on groceries, but the shutdown has created a whole new group of people who aren’t used to needing help getting food on the table: federal workers. The many furloughed employees and contractors present state agencies and local groups with a new problem, and they’ve had to make changes in staffing and structure to keep Floridians healthy and fed while dealing with their own shortages caused by the shutdown. By Sunday, Jan. 20, those who depend on the Supplemental Nutrition Assistance Program, or SNAP, will get their benefits for the month of February, according to the United States Department of Agriculture. In Florida, those who receive SNAP through the Department of Children and Families would normally get those benefits in the first 10 days of February. But the thousands of federal workers without paychecks aren’t able to apply for SNAP benefits because no one is there to process their applications.